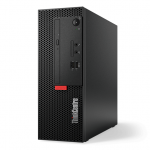 Buy Lenovo PC Computers in NZ. Shop online for the best NZ prices & reviews on Lenovo Think Centre & Think Station Computers, Tiny PC Desktops, Tower PCs, Small Form Factor PCs, Lenovo All in One Computers, Business Computers & more. Lenovo ThinkCentre M710e i5-7400 3.5Ghz 8GB RAM 256GB SSD Small Form Factor Desktop with Windows 10 Pro + Lenovo 24 Inch Monitor! Lenovo ThinkCentre M710 i5-7400 3.50Ghz 8GB RAM 256GB SSD Desktop with Windows 10 Pro + 24 Inch Monitor! Bundled with 24 Inch Monitor!